What day is it? That’s right it’s Monday! I missed you guys last week but I hope we’ve been staying motivated since my last post. Today I woke up feeling invincible like nothing was impossible. This is a feeling that we should have everyday. Often times we fall into a funk when the weight of our obstacles and life becomes too much. We start feeling like nothing is going right and everything is all for nothing. But let me tell you, it’s not. With the end of the semester here I often ask myself why I enrolled in college to begin with. The late nights, the stress, the stress, and the more stress. Is it worth it? Should I give up? What should I do? Can I even do it? Is this even possible? Then I take a peek at the finish line and know that victory can be mine. You have to feel it, you have to want it, you have to own it. Graduation is 17 days away and I still have my doubts, I still stress, and I still get discouraged. It’s not always easy to be motivated or feel that anything is possible, especially when you have several obstacles standing in your way. Today I challenge you once again to take control over your thoughts, take control over your life, take control over you. Know that you can do anything you put your mind to and remember you wouldn’t have started something if you didn’t feel it was important. It’s Monday, start your week off the right way by feeling you are invincible. 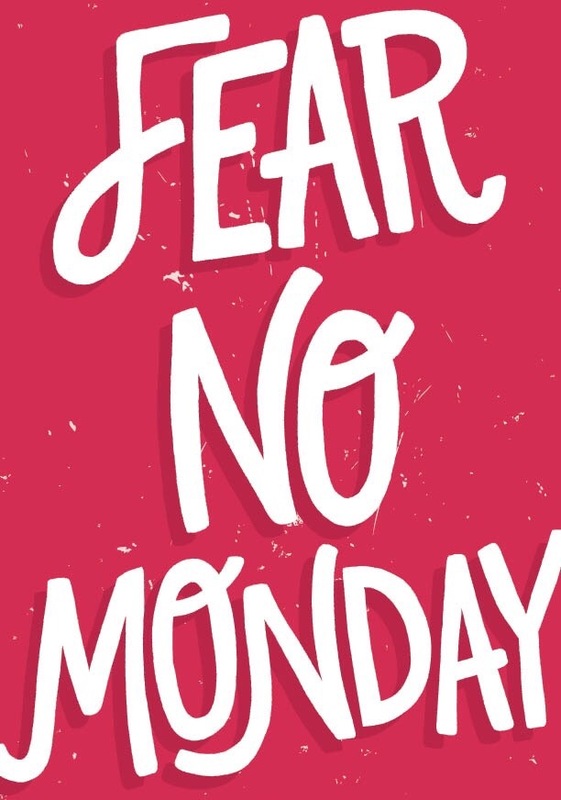 Fear no Monday, embrace it! P.S. We hit 12k views on the blog this month, thanks for the continuous support. Check out my YouTube channel if you have the time.